A Dutch-made crossing Elise x 1090-15-047. 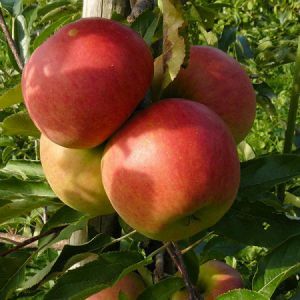 Natyra is a scab-resistant apple. 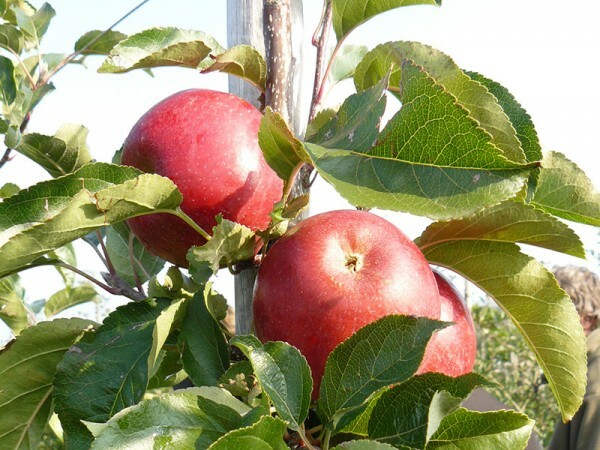 The apple is red to dark red with a green basic colour. Has a fully enclosed blush. Flesh is greenish to yellowish. The apple is quite hard and moderately moist. Has a very good and a pleasant aroma. 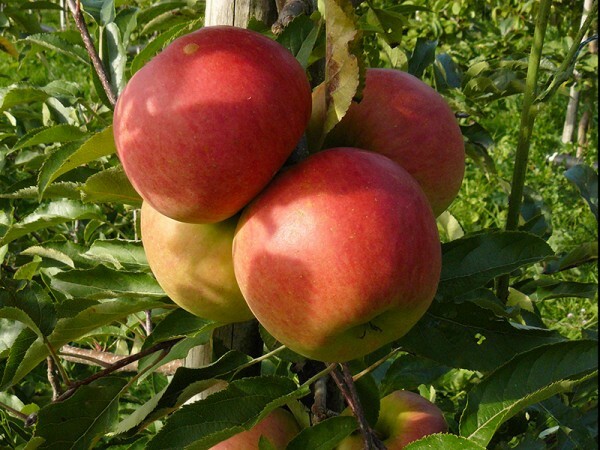 A very tasty apple with a high sugar content. 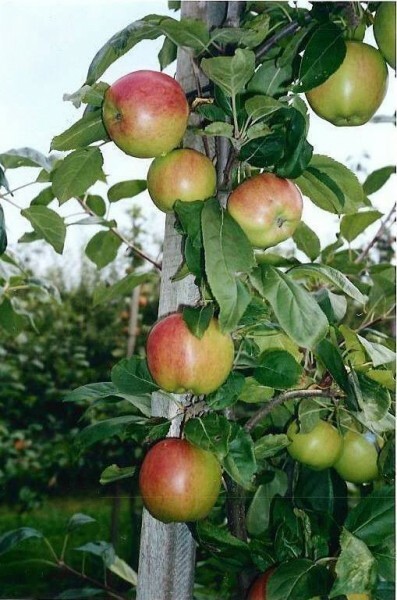 Is a new kind however, from 2012 in small quantities planted in “Smilefruit” orchards. 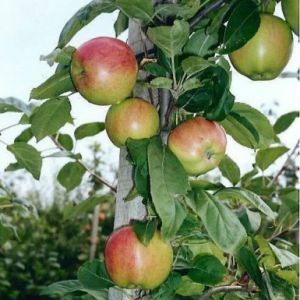 Promises to do well for the future of organic fruit cultivation. Available from early October to late June.